Unlike some of those big mega on-line stores, we are a small retail store that really cares about our customers (we like to call friends!) When you call, you will immediately be talking to a real person, not some computer! All of our staff are horse people and understands you and your horse’s needs. Whether you're looking to outfit your horse, yourself, or your barn come take a look at our inventory and meet our friendly and knowledgeable staff. We look forward to serving you. We have in stock English and western apparel, saddles, tack and gifts, as well as home décor, blankets, footwear, general horse supplies, and lots more. If you do not see it on our website give us a call on our toll free line. We are always happy to answer questions. Your shipping charges are based on the total value of your purchases. For saddles and other oversized items, you will be quoted a shipping rate based on weight and the size of the package. Oversized Packages- Certain oversized packages may require additional shipping cost. In the event that your order falls in to our "oversized package" category, The Bony Pony will contact you before shipping for confirmation of that cost. FPO & APO addresses- Deliveries to APO/FPO addresses are treated as domestic packages and are shipped Priority Mail via U.S. Postal Service. Alaska & Hawaii- Alaska and Hawaii addresses can be shipped either Next Day or Second Day Air via UPS. We can also ship via Priority Mail through the Postal Service for orders which contain no fragile items. For Hawaii shipments not on the main island, shipping may take an extra day or two. Shipping costs will be calculated and confirmed with customers before the order is shipped. Expedited shipping is available for an additional $50.00 per package. Note: there may be instances where additional charges may apply. You will be notified if your overnight fees will be more than appears on your invoice. Sales Tax- Sales tax is only charged for orders shipped to addresses within the State of Washington. The sales tax rate used is the current rate of the shipping address. Shipping to PO Boxes- Packages shipping to PO Boxes will be shipped Priority Mail through the Postal Service. Packages must be under 5 pounds and under $200.00; and contain no fragile items. We cannot ship to international PO Boxes. International Orders- The cost of shipping international orders is determined by dimensional weight (or physical size) of the package and shipping destination using UPS International shipping rates. The Bony Pony has found UPS to be the most efficient and reliable way to get our packages quickly and safely to international customers. We cannot ship to International PO Boxes. We need a phone number, fax number, and/or e-mail address for ALL international orders, this will aid in prompt delivery. Duty Charges- Your order may be subject to import duties and taxes. International customers are responsible for all duties and/or taxes when your package arrives. Please check with the local authorities for more information. If you are not completely satisfied with your purchase, you may return the unused product within 21 days of receipt (as indicated by UPS) for an exchange, store credit for a future purchase or refund of the purchase price of the merchandise. Note: Saddles are under a separate program: Limited Saddle Trial Program (see below). Returns will not be accepted after the 21-day limit. Items must be in NEW condition with tags and packaging in place. Used, abused or broken after use items will not be accepted. * Shipping charges will NOT be refunded. 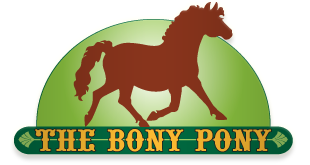 * The Bony Pony does NOT accept returns for clearance, closeout, customized or special order items. Also, we do not accept returns on books, feed supplements or wormer. All merchandise, including Horse Blankets, must be in original packaging. All footwear must not show any signs of wear. Please call us toll-free at 1-888-317-7513 to verify that we have the item you would like to exchange with. Once that has been verified please use the above instructions and return the item. Please include a copy of your receipt, and a brief note as to what you would like to exchange the item for and whom you spoke with on the phone. Once received, we will process your exchange in a timely manner. Please keep in mind that your card will be charged or credited with any difference in price and shipping to return the new item to you. Please note that saddles are under our Limited Saddle trail Program (see below). We try very hard to get the information that we include with each item right. However, we are human and mistakes will be made. We are not responsible for any typographical errors, including pricing, and cannot honor such errors. Rest assured that we will do everything we can to minimize such errors. With our Limited Saddle Trial Program, you will be able to girth the saddle up and sit in it to check to see that it fits and is comfortable for both you and your horse. Take a short ride if necessary, however, make sure you do not mark the saddle in any way. You will need to take extreme care for the saddle and follow our specific use instructions. If you do not, you will not be able to return the saddle and get a refund. Please read our instructions carefully before proceeding with the trial. The instructions will include how to send the saddle back to us, including getting an RMA number and how to package the saddle. Please open the box carefully and retain all packaging and paperwork. Check the Saddle Condition Report that is attached to the saddle. It will indicate if the saddle is completely unused, or if, for instance it has been tried out in any way. When trying out a saddle from The Bony Pony, place a clean saddle pad under the saddle and girth it up. For English saddles: wrap the leathers in vet wraps, tube socks or halter fuzzies. For Western saddles: wrap the stirrups foot pad in vet wrap or other protective material being careful that it does not leave marks or residue on the stirrup. You can certainly move the horse forward in it to see how it works for you and your horse; however we stress that a full refund can only be given if the saddle is absolutely clean and shows no sign of wear. Please do not oil or use conditioner on this saddle if you are going to return it, as this will render it nonreturnable. Just wipe it over with a cloth dampened with plain water to remove any barn dust or grime. 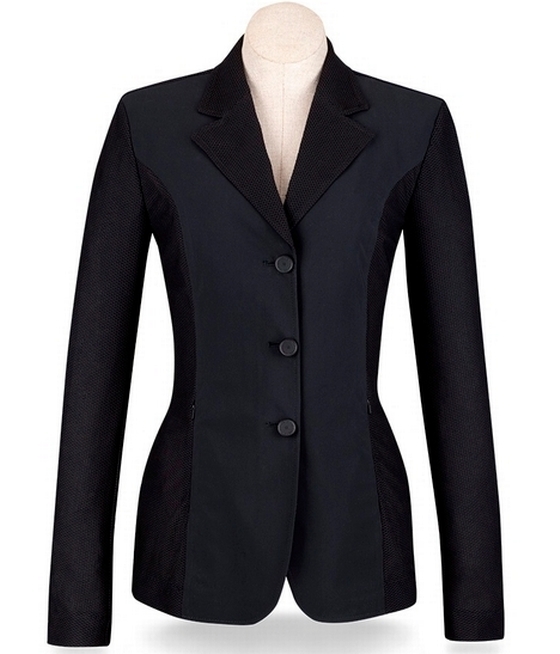 If the saddle does not fit you or your horse, notify us within seven days of receipt. Please call our toll free number (please do not e-mail us with this notification) and you will be given a Return Merchandise Authorization Number (RMA) to be placed on the outside and inside of the box. Ship the saddle back to us in its original shipping packaging within five days of receiving your RMA #. Please call with any fitting questions as we can answer many of your questions right over the phone. Just remember, you are the final judge of whether the saddle fits your horse or not. If you decide to keep the saddle after the trial period and later change your mind, the saddle will not be returnable. If you decide to return the saddle, upon receipts and inspection by The Bony Pony, full credit will be issued less shipping. The customer is responsible for shipping the trial saddle both ways. 2. Our Employees and Privacy: We train all of our employees about the importance of privacy. We give access to information about consumers only to those employees who require it to perform their jobs and return them?